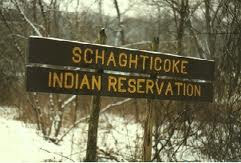 Sen. Richard Blumenthal (D-CT) rarely, if ever, agrees with Schaghticoke Tribal Nation Chief Richard Velky about anything having to do with federal recognition, but that rare moment has arrived. Blumenthal, Connecticut’s former attorney general, now says that a third party veto provision he helped insert into the Bureau of Indian Affairs’ proposed revisions of the federal recognition rules is unconstitutional, the Connecticut Mirror reported. Velky said the same thing a year ago. The provision would give third parties that were involved in litigation against tribes veto power over those tribes’ right to re-petition for federal recognition under the revised rules. A tribe would have to go to the same third party that fought its federal recognition at the Bureau of Indian Affairs, the Interior Board of Indian Appeals and/or in federal court to get consent to re-petition. In Connecticut, which has fought indigenous sovereignty for almost 400 years, the likelihood of that happening is slim to none, Indian leaders say. This entry was posted in Federal Policy, Recognition Process and tagged Bureau of Indian Affairs, Chief Richard Velky, Connecticut, Eastern Pequot Tribal Nation, Gale Courey Toensing, Golden Hill Paugussett Tribe, Golden Hill Paugussetts, Indian Country Today, Richard Blumenthal, Veto Provision. Bookmark the permalink.